On April 19th Prologis Inc., global leader in industrial real estate, announced its intentions to buy the real estate assets and operating platform of KTR Capital Partners (KTR), a real estate focused private equity company, for a total purchase price of $5.9bn. With a market value of $22.1bn, the San Francisco-based Prologis, owns approximately 594m square feet in 21 countries, mostly in North America, but also in Europe and Asia. The company leases space and modern distribution facilities to retailers, manufacturers, transportation companies as well as third-party logistics providers. The properties to be acquired by Prologis consist of 60m square feet of operating portfolio composed of high quality assets suitable for their strategy, as these properties show market composition coherent with the one of Prologis. The company’s Chairman and CEO Hamid Moghadam declared that “It is rare to have the opportunity to acquire a portfolio of such high asset quality, customer profile and market composition that is so consistent with our own”. Mr. Moghadam has indeed been following KTR’s work for quite a long time, particularly appreciating KTR’s leadership as well as the quality of the work of investors within the KTR team. KTR Capital is a U.S. real estate investment, development and operating company focused exclusively on the industrial property sector. Counting a portfolio of approximately 70m square feet in 25 markets, KTR claims an established presence in major North American industrial markets, particularly serving the main population hubs and key logistics infrastructure cities such as Los Angeles, New Jersey, Chicago, Miami, Dallas and Houston. KTR Capital will be acquired by a joint venture of Norges Bank Investment Management (45%) which manages Norwegian Government’s pension fund and Prologis (55%). The total purchase price is $5.9bn, including $700-$750m of secured mortgage debt and the issuance to KTR of up to $230m of common limited partnership units in Prologis. Moreover, Morgan Stanley Senior Funding, Inc. has committed a $1.0bn bridge loan to Prologis. The deal is deemed to be accretive for Prologis’ shareholders and is expected to be completed within one or two months. There are several reasons that justify this transaction. Firstly, it is worth mentioning that, despite the size of KTR’s portfolio, all their assets meet the high quality criteria set by Prologis and are, therefore, compatible with the firm’s current portfolio and future term goals. In addition, KTR’s portfolio is attractive to Prologis as it focuses on several big cities in which logistics-related real estate is concentrated. Moreover, since the tenants of both firms overlap, the merger would allow Prologis to strengthen relationships with existing customers and also to some extent lower its costs: in particular, the transaction is expected to lower general and administrative expenses by about 12 per cent. Finally, although the prices in industrial real estate are considered to be already at high levels, the assumption of Prologis is that the fast growing demand in the industrial real estate has outpaced the slowly increasing supply which will translate into increasing rents and bring profit as a consequence. The underlying cause for growing demand for industrial real estate has been the intensive growth of e-commerce represented by those firms that need logistics infrastructure, warehouses and distribution centers. Although considered already out of the deep downturn that followed the financial crisis, the U.S. real estate market is now experiencing an even more solid rebound: low interest rates, little inflation and the increase of both domestic and foreign capital are boosting the market for properties. Commercial real estate assets are performing remarkably well, but generally also vacancy and rental rates across property types are showing improvements. What really matters here are the demand and supply and it seems that in the U.S. the demand has finally caught up with the supply, and even surpassed it. One driver for this situation is also the government’s recent decision to loosen the credit requirements, encouraging people, especially the first-time buyers, to buy new houses. Therefore, the deal-making activity in the real estate is recovering and will most likely significantly pick up in the coming years. An example is the Blackstone and Wells Fargo $26.5bn bet on the global property market through the acquisition of the real estate unit of GE, recently analysed by our club. In this context, the transaction between Prologis and KTR also demonstrates that, although the U.S. is experiencing high property prices, investors are seeking opportunities in real estate as it continues to produce healthy returns. MSCI found that globally, thanks to the fast capital value appreciation, property generated total average returns of almost 10% in 2014, the best performance since the beginning of the financial crisis. In addition, the important role in the transaction of the Norges Bank Investment Management (NBIM) shows the growing interest of sovereign funds in the U.S. real estate sector. Properties, hotel groups and skyscrapers continue to attract many of the Sovereign Wealth Funds (SWF), such as the Norway’s and Emirates’ ones. This is an interesting and important trend that sees the most important state-owned investment funds recently investing in the financial markets to help diversify away from their reliance on commodities. An example was also seen in December with Blackstone’s sale of IndCor Properties, the part of its industrial real estate portfolio, to Singapore’s Sovereign Wealth Fund GIC for $8.1bn. In particular, for many big funds, portfolio diversification is not only an obligation but also a necessity given lower returns from other asset classes. In order to achieve sustainable returns, SWF are also forming strategic partnerships with commercial developers, banks, life insurers and also leveraging other pools of capital. An example of this is Norges Bank Investment Management which started its activity in the real estate industry with a European property investment in Prologis in 2012. 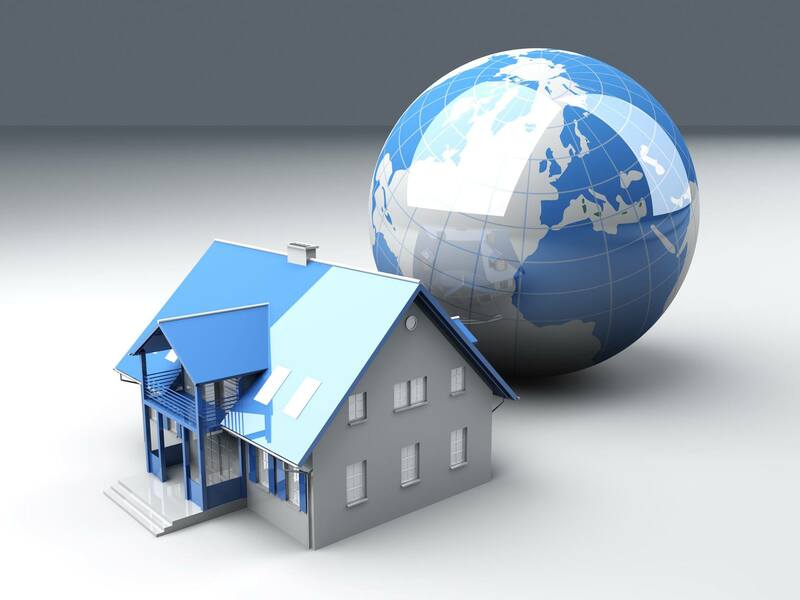 From then on, much has changed as currently NBIM is among the most important foreign investors in the U.S. real estate market. Tags: blackstone, diversification, ge, KTR, morgan stanley, NBIM, private equity, Prologis, properties, real estate, Sovereign Wealth Funds, U.S.